Apple has refused to comment on rumours that it plans to launch the iPhone in the UK today. The news follows the publication of a highly questionable report by Newswireless.net that appeared Friday. It said a 3G iPhone was imminent and that Apple was partnering with Vodafone , T-Mobile and Carphone Warehouse to launch the iPhone in Europe. 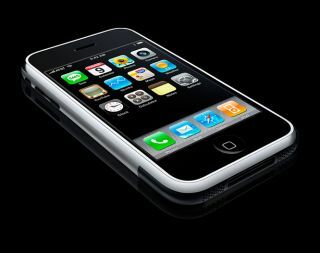 Apple CEO Steve Jobs says that 3G chipsets aren't yet mature enough for what Apple needs them to do in the iPhone. He said 3G chipsets were too bulky, and have poor battery life. It was always extremely unlikely that Apple would launch a 3G version of the iPhone two days after a non-3G version launched in the US. It would have been commercial suicide for Apple to have made such a move. PR events such as this - yes, even UK ones - are heavily trailed beforehand with invites being sent to key members of the press. No such thing has happened.